Angling Trust chief executive Mark Lloyd and campaigns chief Martin Salter bring you this week’s edition. THIS week I want to write about two new resources that the Angling Trust has made available to anglers, free of charge, on the internet. First, there’s our new web site at www.fishinginfo.co.uk that we have produced in partnership with the Environment Agency and the Met Office. It has a massive amount information about fishing venues; angling clubs; tackle shops; river heights; and the past, present and future weather conditions. All this is set out in a brilliant mapping system that allows you to switch between aerial views and maps. When I plan a fishing trip, I have to go to several web sites to get all the necessary information. The idea of this site is that all those sites are combined into one to make it easier for more people to go fishing more often. I’m know a lot about the fishing in my area, but found some new venues just a short drive from my house that I am now looking forward to trying out. We are just ‘soft launching’ this at the moment, to iron out any bugs and to get all the information on the site up to date. Please check it out and if you spot a fishery, club or tackle shop with out of date information, then please encourage them to contact us via admin@anglingtrust.net or on 01568 620447 after January 5 and we will update their details on the site. Angling Trust member clubs, fisheries and trade members will get an enhanced listing and will be able to update their details online at any time. We’ll then be launching the site in March 2014 and it will be publicised by email and post to all anglers who have bought a rod licence in the past two years. This means that millions of anglers will be alerted to it, and we are likely to get a lot of hits, so if you own a fishery or tackle shop, make sure your website, phone number, opening times etc. are all up to date. One of the many benefits of being a member of the Angling Trust and Fish Legal is that you get sent our magazine twice a year, free of charge. We have been putting a lot of work into making it more interesting and readable, based on feedback from our members and have also now put it online for the benefit of non-members as well. You can read articles by angling luminaries such as Dave Harrell, Brian Clarke, Henry Gilbey and John Horsey here: http://bit.ly/1cOOGgN, as well as a review of campaign news from the Angling Trust and legal victories from Fish Legal. We’re aware of some things which didn’t quite work, and we’ll be putting them right in the next copy due out in the spring, but the latest edition, which runs to 76 pages, is the best we have ever produced. Please send any feedback to admin@anglingtrust.net and this will be useful to us as we work on the next edition. 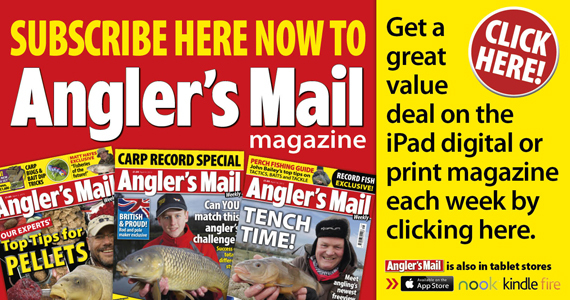 If you want to get the paper copy of the magazine, please join us at www.anglingtrust.net/join or sign someone else up as a last minute Christmas present! Finally, I would like to wish all the readers of this blog a very Merry Christmas and a Fishy 2014. I’ll be writing a review of 2013 and a look forward to next year in a week’s time, so come back and visit then. Thanks to all of you who have supported us with membership and donations and for those who haven’t, how about making that one of your new year resolutions?